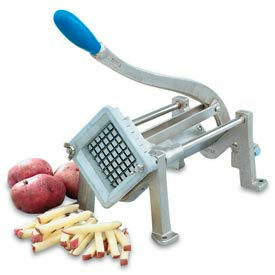 Potato Cutters Allow Easy Slicing Of Potatoes Into Various Shapes For Frying Or Baking. Potato Cutters are simple hand-operated machines for cutting potatoes into various shapes, including straight French fries, wedges, spirals and more. Cutters are made to accommodate varied potato sizes and types. Potato cutters are available from several trusted brand names. Choppers And Slicers Are Used For Fast, Efficient Preparation Of Fruits And Vegetables In Foodservice Applications. Choppers and Slicers are made of aluminum, high carbon steel, plastic and stainless steel for long lasting durability and easy cleaning. Blades are designed to cut consistent portion sizes to provide efficient and safe chopping of ingredients. Weighted ergonomic handle and four legs with non-slip rubber feet for stability on some models. Available types include Tomato Cutter, Easy Dicer, Easy Slicer, Food Chopper, Melon Slicer, Lettuce King, Vegetable Lasagna Slicer and more. Cut sizes and dimensions vary by model. Wedgers, Corers And Peelers Are Used For Preparing Fruits And Vegetables In High-Volume Kitchens. Wedgers, Corers and Peelers are made of durable steel or stainless steel for dependable service. 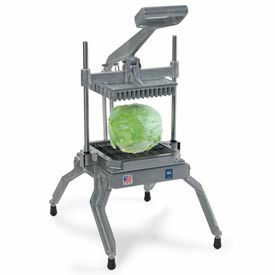 Several styles available to provide a safe means of preparing fruits and vegetables. Curly Fry Vegetable Slicer, Apple Peeler, Easy Wedger, Turning Slicer, Upright Vegetable Peeler and more are quick and easy to operate saving time and labor in commercial kitchens. Dimensions vary by model. Mandolines Are Used For Slicing Fruits And Vegetables Into Various Sizes And Shapes. Mandolines allow efficient slicing and cutting of various fruits and vegetables. Mandolines are available in several size and style options to suit any price range. Choose from a variety of trusted brand names. 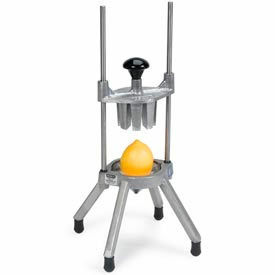 Manual Food Slicers Provide Convenient Means Of Slicing Fruits, Vegetables And More. 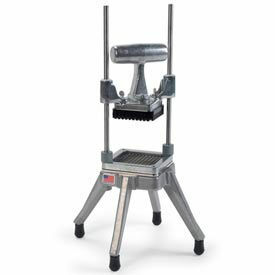 Manual Food Slicers come in a variety of sizes and styles to accommodate fast, efficient cutting of onions, tomatoes, chicken and more. 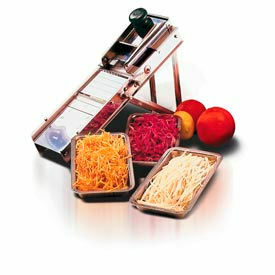 All slicers utilize simple one-stroke operation for easy repetition. Slicers are available from several trusted brand names. Rotary Food Mills Are Ideal For Straining And Pureeing Fruits And Vegetables. 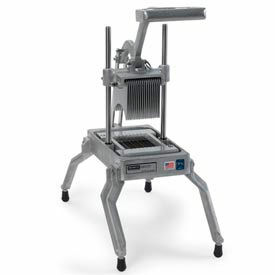 Rotary Food Mills are made using stainless steel for lasting durability and easy cleaning. Perforated, conical bottom allows easy straining. 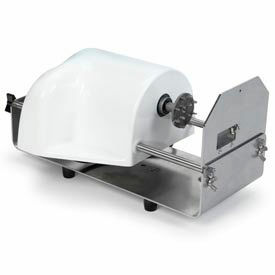 Food mill blades are adjustable to accommodate any volume of food. Available with Fine, Medium and Coarse screens in several sizes. 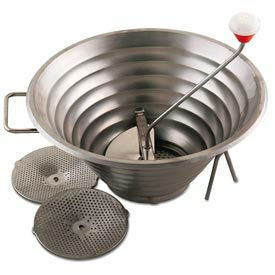 Food mill accessories like additional sieves and spare handles are also available. Rotary food mills are offered from several trusted brand names. 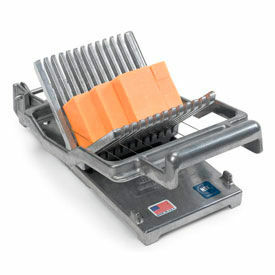 Cheese Cutters Are Used Foodservice Appliances For Slicing Cheese Or Butter Into Uniform Cubes, Sticks, Squares And Rectangles. Cheese Cutters are made with stainless steel wires and aluminum body for long lasting durability and easy cleaning. Slicing arms are interchangeable to provide efficient preparation with a variety of slicing sizes. Cutting wires are easily replaceable. Replacement wire for roller cheese slicer also available. Available styles include Cheese Blocker, Roller Slicer, Easy Cheeser, and Raclette Machine. Available with 3/8" Slicing Arm, 3/4" Slicing Arm, and Both Sizes. Dimensions and quantities vary per model. Lettuce Cutters Provide A Quick And Convenient Means Of Chopping Large Volumes Of Lettuce. Lettuce Cutters are made with scalloped blades for clean slicing action. Lettuce leaves will not be crushed or bruised, and will not brown after cut. Legs are angled with no-slip feet for stable cutting platform. Lettuce cutters are available in several models for different-sized cuts. NEMCO® PowerKut Food Cutters Are Used For Cutting Fries, Chips, Garnishes And More. NEMCO® PowerKut Food Cutters are made using heavy-duty stainless steel and engineered plastics to stand up to tough commercial use. Required two-hand operation keeps operator clear of blade during use. Extremely easy to disassemble for cleaning. Heavy-duty electric motor runs on standard 60-cycle, 120-volt power. Available in Ribbon Fry, Spiral Fry, Wavy Cut Fry and Garnish styles. Blade styles are easily interchangeable. NSF® certified.